"Extremely private and secure repositories." What I like very much about this great tool of AWS is that it allows users to host their software, application or project in a private repository, thus providing security to said data and information since only those users who are associated with it have access to them. project, also works in a very versatile way since it is very easy to configure so doing it will not take much time. As a software developer I have not had any problem with AWS CodeCommit, it works very well and although I have had some doubts about some uses of this support team, it has resolved them immediately. I recommend this AWS tool because it allows you to host your large or small projects in repositories very easy to manage and with high privacy, besides their costs are very low so there is no excuse not to use it. Using CodeCommit has greatly improved our group work because it is ideal for it, because I can share code to other remote locations in a very short time, also gives us a high scalability and security at the same time, thanks to this generated copies automatically of security. "Great version driver based on AWS! " The best thing about AWS CodeCommit is that it allows me to manage private repositories in a very simple way which makes it very easy to use, besides that it provides security, high scalability and accessibility of them; also when working with it I can be more organized, compare branches receive notifications to work as a group and if I want to work more efficiently I integrate it with SNS or Lambda which makes AWS CodeCommit a powerful private repository. AWS CodeCommit is a perfect tool for teamwork. With CodeCommit you will be able to facilitate your work both for you and for your work team, just create branches and combinations that will make it easier to manage the whole project. With AWS CodeCommit I can work from anywhere with my colleagues or colleagues through requests for extraction, branching, thus achieving a workflow in which you can share code and all this thanks to its tools that are able to offer us a repository Private without any advertising. "The best code repo. by AWS !!" As an Application developer at Infosys i have been working with AWS Code Commit for about 1-2 years , it is one of the widely used software for managing the code in the distributed environment of the software industry , As we used AWS Code Commit to do our all kind of development code management it becomes so much easy to update and edit and have control over all kind of commits very easily and securely , it has it's own private git repository , which very handy and easy to use tool , it highly automates the work in which you just need to specify some parameters , and as your code base of application grows AWS Code Commit becomes the most valueable tool for controlling the code base , therefore it is the highly scale able solution ! As if now there is nothing to dislike about AWS Code Commit ! ! if you want a reliable and a scale able solution for application development then AWS Code commit is the best solution for managing code base using it's private git repo. !! we use it for controlling and managing our code base for scale able application development !! "Best code management tool !!" i have 2-3 month of experience using AWS Code Commit , the best thing about AWS code commit is that we can easily able to merge and integrate our code with the existing application , previously we used to face lots of difficulties like redundancy of code and poor application design and by using AWS Code Commit we can easily and rapidly able to solve all of the above listed problems , and the another best thing about AWS Code Commit that it has its own private git code repository which is very handy and easy to use , it becomes very easy to integrate it with existing git tools which we are using previously , it's the most secure platform for deploying your codes , it also supports auto scaling easily ! ! As if now there is nothing to dislike about AWS code commit !! It is one of the best service provide by AWS (Amazon Web Services ) for code management of your business application very rapidly and easily ! ! we use it as our private code repository !! "Highly available and easy to scale service !!" i have been using the AWS CodeCommit for 2-3 years , basically it manages the mostly happened issue in software development which is code mesh up and lots of dependencies management , and for this kind of frequently occurring problems in software industry AWS CodeCommit is the best solution it has it's own private git repositories in which every one who are having privileges can commit their code very easily and it instantly integrates with your software as a separate module very easily , and the most beautiful thing about AWS Code Commit is that it is a highly scale able solution which can easily and securely able to handle very big infrastructure easily and reliably ! The quality of service is not up to the mark , and other than quality of service everything is very good with AWS code commit !! AWS code commit is the must required tool for the software development it totally manages the code with the use of private repository and it's very easy to use for any fresher , you should give AWS code comit a try ! ! we use AWS code commit for development of our companies highly scale able software solutions ! ! There are many good things about AWS CodeCommit, one of them is the way i can manage the permissions to the private repository, and all the request, also is very easy to follow all the progress because there are options to compare branches, code, but the best thing about AWS CodeCommit are the triggers, they along with SNS or Lambda makes AWS CodeCommit a powerful private repository, is like to have a automatic repository. There is nothing what i dislike about aws codecommit is a great tool for team development. If you are using CodeCommit to developt a project with a medium-large team, don't forget to use tags, and branches, that will make so easier to manage all the whole project, also learn to setup the triggers, they are very useful. With AWS CodeCommit, i can share code from remote location with other people, also the tools which it offers, are very useful and is private repository without any kind of publicity, there is not payment to use it, is very easy to manage a project using it. The way to control request, pull merge, is just wonderful, and the triggers are so useful to automatized the project, the way to do backups is very simple, i can back to older version very easy. AWS Codecommit allows you to host your project using version controlled hosting.It also has many other great facilities like auto backup of your projects.Store everything privately on cloud.Work collabratively on your project by storing it through aws codecommit.Also its highly scalable so there's no problem of managing storage.Apart from all these you can integrate codecommit with 3rd party applications so it becomes more easy to use it. I have nothing to dislike about codecommit. I recommend using aws code commit if you want to store your project through version control hosting.It allows you to take backups automatically.Also you can be assured about your data as it is stored through aws cloud.It also offers a free period of a year to test the services.It is highly scalable and also you can work collaboratively using aws code commit,so just try it. I use codecommit too host all the projects on cloud as a cloud engineer.I am responsible for managing all the projects of various teams on cloud and also set it up for them so that they donot have to worry about the loss of data because of any reason.Also it supports version controlled hosting so it becomes easy to backtrack.This is why I prefer codecommit. "Scalable,secured and managed Git repository." AWS Code Commit is a place to host git repository which are scalable and secured.The git repositories are totally private so that you can rely on deploying client's project for backup and reviewing.It has all the features of storing git repository other than that it helps for version controlled hosting i.e. you can review different versions of code after updating them so that whenever you wish to backtrack you can easily do so.It helps you to work collaboratively on the same project by different members of team.It is overall a great place for hosting your projects in the form of git repository. I have used it for a long time till now and have found nothing to dislike about it. I recommend using aws codecommit for version controlled hosting of git repositories which are kept private and secured and are highly scalable.Also the cost is not too high compared to other private git repository provider.It also can be integrated with other aws services and you work is totally secured as it is the service of aws so I recommend using aws codecommit. 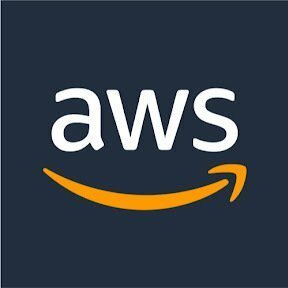 I require to store my client's projects securely on server so that all the team members can work on it simultaneously and also it helps in version controlled hosting which is really required when you are working on a large scale project.So that whenever you want to backtrack you can easily do it.So I use aws codecommit because it provides me great comfort in hosting my project. "AWS Code Commit - better than any other code repo"
I like that you get almost free private repos, this is really amazing! It's very stable, and they almost never have any issues! Gitlab is something that is lacking that. Github is something that is pricey for private repos. Bitbucket is very slow! One thing that is lacking a little bit is basically UI. When you use GitLab, it looks pretty. However, I am able to tolerate UI in exchange of so many features that they have. I would say that it would be really good to improve idea of branches and merges. I like the way visualization is there (reminds me of Git Kraken), but I would appreciate to have a somewhat more clear way to merge and handle conflicts if they persist somewhere on the repos. Another way that I would like to see some improvements is more clear way how to migrate repos from one region to another. Sometimes it can be a really difficult task to do without other services on Amazon. Apart from that, I would say that I am overall satisfied with things that you do with AWS Code Commit! Having private repos hosted on something reliable and not pricey, easily configured with other amazon web services. "One of the best repository tools for team development"
The best thing about AWS CodeCommit is how fast it update the repository and using EC2 it will upload instantly the changes, so i can see them live without change anything, also is very intuitive and easy to use, i can set pull request, and ask for merge very easy, i can create, compare branches, set tags, to be more organizated, i get notifications instantly when someone does a merge request, also can create triggers for events using amazon SNS or Lambda and can test it before set it up, and there is not fee for use. I can create only 10 triggers, that for big projects where many people is working isn't too much, they should increase the amount. Use AWSCodeCommit with EC2 and others AWS tools, they all work in a perfect synchrony that will help you, and your team to save time, and work faster, is perfect for SCRUM, and the learning lane of use is very short. Code Commit is very useful, help with remote development, to work faster, to see changes live, and works very good with another aws tools, i can even edit code online very fast to do small changes just clicking on the files. Helped me to do team-work projects on very easy way, and keep it very organized. "Good only if your ecosystem is based on AWS"
I have worked with other git solutions it's great this one because of speed, it's very fast and it works well if you're looking forward to have a build process in AWS in terms of functionality, tools and security. If you stay low on usage it's free so it becomes a commodity in the AWS solution package, if you have high usage then there're minimal costs around this solution. By default all repositories are private and the security around it is just like the rest of AWS, great. It doesn't have even half of the features/products other solutions have like Github or Gitlab. It's not as compelling either, the security around it is very big so to authenticate is not as easy as Github or Gitlab, you'll probably run into problems when first using it even coming from other git platforms due to the gui tools not being fully compatible but once you get around the authentication piece everything else is the same. If you have everything in AWS then yes you can continue commiting to the platform by storing your code in a AWS CodeCommit repository. If not then you have other options in the market, I'm a big fan of GItlab and GIthub, great products. It does the same things as the other git based tools do, my case is code versioning. You can version and keep track of any file you imagine on git platform. "Highly scalable and private Git repos without worrying about infrastructure"
I like that it's on AWS. I recently started to use most of their services in our development process, and I'm happy that I can integrate the source control part into AWS as well. By using CodeCommit, we can move most of our workflow to a single platform (AWS) so it's much easier to maintain. The biggest benefit for me is that how well it integrates with other AWS services, like CloudFormation. very stable using EC2 it will upload instantly the changes, so i can see them live without change anything, also is very intuitive and easy to use, i can set pull request, and ask for merge very easy, i can create, compare branches, set tags, to be more organizated, i get notifications instantly when someone does a merge request, also can create triggers for events using amazon SNS or Lambda and can test it before set it up, and there is not fee for use. bad UI, I can create only 10 triggers, that for big projects where many people is working isn't too much, they should increase the amount. Code Commit is very useful, help with remote development, to work faster. Having private repos hosted on something reliable and not pricey, easily configured with other amazon web services. "AWS for business with less stress"
AWS is manageable, highly secure and easy to manage and not need to worry about scaling infrastructure. No need to have physical servers which is a huge cost on the company. Even though it is on cloud it is more like a private infrastructure and highly secure. Till now we did not find any thing that we dislike as we are still using the service and exploring all the benefits it provides us. This is highly recommended and easy of use. We had the issue with version control and if the server shuts down it impacts all the business, so AWS is on the go type and we can access on the cloud and it is solving our geographical distances problem and highly scalable so no need on the size of the server. "Bare bones when compared to the other products "
I like that CodeCommit has speed. It is rapid and works almost all the time. It is very simple and has a very good integration with CodePipeline. The visualization helps me understand code/project structure and the various parts that are being worked on in various branches. Creating a limit for triggers is a pain. 10 is just not enough for a large project with multiple people working simultaneously. You expect a lot more and it fails to meet up to the expectation. The alternatives in the market do the job and you really don't feel the need to switch. Access control, versioning and team features such as bug tracking, feature requests, task management, how to's, documentation. "Private GIT repo that is well integrated with AWS"
I like the clean integration with AWS CodePipeline and in organizations with tight compliance, it is great managing access with IAM. I do wish it more granular access control. In particular, having tight control at the branch / repo level would be nice. It is also not compatible with things like goLang's dep without jumping through hoops. AWS CodeCommit allows us to use cloud resources effectively while minimizing the number of third parties in scope for our compliance reviews. This is git but implemented with AWS. You can tie in AWS IAM and CodePipeline for a CI CD pipeline with granular permissions. At first, it was missing a lot of features. They have come a long way and I'm sure they will continue improving it. Version control that can be controlled with a central identity management platform. In-browser integration with source control is really high quality. Management of credentials through IAM is ideal. There is no integration with CI systems in the Pull Request process. My enterprise software development processes require enforcement of a successful build and all passing tests before a PR may be merged. CodeCommit currently doesn't have any webhooks into CI systems to show build status or test results. This is a show stopper for most enterprise development teams. Great for small teams who are already working directly with AWS resources. "Great tool for projects based around AWS"
CodeCommit is a great tool for working on AWS-centric projects with a team. It has a very high performance and is free up to certain usage limits, so it feels like a very natural tool to use for AWS development. Since CodeCommit is limited to AWS projects, it can be hard to adapt your usual workflow to this product and shift between them regularly. Having a more standardized UI would greatly improve this issue. I've used CodeCommit for code versioning and tracking in a team, comparable to similar tools like Github. "Inspire innovation and drive insight with Amazon Web Services "
storage of combined data. It is easier to group and modify. "Great summit to learn about platform"
The ease of having git repos close to your infra allows for accelerated download speeds when you have large repos. Easy to setup. The business problem to solve was to have source control close to our platforms in AWS. The benefit of this if you have a large code repo is that there is low latency when pulling. I like the simplicity of how to can commit your code on any git or local server of versioning control. I honestly can say there is so easy and user friendly that there is nothing to complain with. We moved from git philosophy to aws commit and We needed to have a simply tool which could easily integrate on these servers .After a short research we decided for aws commit. "Version control service hosted by Amazon Web services the brand you can trust"
We can store our code in aws repositories which is encrypted. The code is auto managed and the administration no need to worries. Aws repositories services can handle the large number of big files. In aws no limit on size store anything anytime. With aws we can easily migrate the file from other repositories. "The future of version control?" Having worked with a number of other version control softwares, it is safe to say that this is definitely one of the faster ones. While being super fast it is also stable and reliable in terms of quick upload and update. There is still a long way to go before it can be coined as the version control software. The UI gets stuck a few times when using and is definitely not the most user friendly one out there. Collaborating on aws related code base. it is fast and that is the main reason we are using it for now. "Simple and effective not much else "
It's a nice difference to using gethub to share code projects. There is no reason to switch to over told you already have a reliable service. You kinda expect more but it delivers on the basics. We were trying it as a colleague suggested to use it but we haven't found much use outside of what we have. "Great once you get used to it"
Easy to use, handy if other work is using AWS. Not as easy as I would like to transfer commit history from a github repo to codecommit. The benefits of any git repository - ability to track changes to code and share working versions of code with colleagues. "AWS CodeCommit Source Code Storage"
The user interface is not very intuitive so I found it difficult, While the set up was frustrating because of the extremely strict permissions once I got it working I was able to use my git tools. Solving my security issues. I felt that the strict guidelines for set-up, while annoying did make me feel that my data would be secure. I love how easy and organized this program is. Its amazing to use. Secure and scalable managed repositories, free private repositories. Projects are setup easily and with variety. Pull requests can also be reviewed easily. No direct migration from TFS to Git, needs to migrate to Git first, the UI needs a bit more work, for that matter bitbucket UI is more intuitive and self explanatory. Managing an in-house source control is nowadays costly. AWS CodeCommit brings a new look to the existing plane field. "Competitive features, great if you use AWS"
Integration with other AWS & third party services. Migration from other repositories is fairly easy. Use of previously well known & popular Git tools. "AWS CodeCommit - Limited Time Review"
This was a potential place to store GIT repositories for our Agency. It is easy to setup and it is inexpensive. UI component is not that intutitive. Need more instruction. "The best in version control"
AWS CodeCommit helps me keep all of my versions straight- all my ducks in a row, so to speak. I wish it integrated better with more operating systems. It has been a bit glitchy on Linux (ubuntu) so far. its i a fully secured source control management tool which makes ease to our company’s development lifecycle. it has helped the software setup the full deployment pipeline in a flash without mostly doing configurarion and everything else manually. I like the initial trial period for a year you’re given. Gives the user confidence in the product because the developers are so confident. The functionality of the software needs to be more organized so functions are more easily and efficiently accessible. Ease of access in customization. I love the whole concept of this program. It really has everything you would need! The program is a little costly, that is the only thing that is wrong with it. Using it with all of our other programs, it works great! I use a variety of CMVC systems due to customer constraints but when its my preference, I choose git compliant. Fear of costs; I work intermittently; when not using a repo, i don't want to be charged. "A nice automatic way to deploy"
it can only be used on AWS environment, which limits you to the platform. Amazon's network of support is amazing. There tools grow from needs. Addressing Howe we teach and user code in our service. Nothing as of now. The service serves the purpose it is meant to be. Main repository for entire codebase. Managing is easy. Like the built in integration with our AWS account. "A few features I like to have"
Not so great integration with Eclipse. * We monitor all AWS CodeCommit reviews to prevent fraudulent reviews and keep review quality high. We do not post reviews by company employees or direct competitors. Validated reviews require the user to submit a screenshot of the product containing their user ID, in order to verify a user is an actual user of the product. Hi there! Are you looking to implement a solution like AWS CodeCommit?